This website employs SSL security, the standard for security technology. Data passed from your browser to our server is through an encrypted link which ensures that all data remains private. SSL is the industry standard for internet security and is employed by millions of websites to protect data and transaction conveyed online. Contact us regarding any of the Pensacola MLS listings above. We can show you any property or provide you with comprehensive information for any real estate listing. 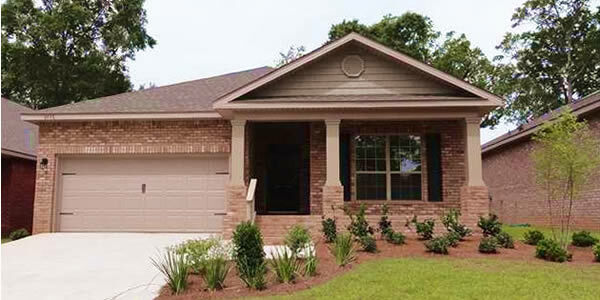 Best of all, our services are provided at no cost to the buyer for all Pensacola homes listed on the MLS. When you are searching for that perfect Pensacola home, try using some of these hints to make your search easier. 1. Do you want a waterfront or water view property? Choose that option. 2. Need a home with a swimming pool or Jacuzzi? Add that to the criteria. 3. Are the schools important to your family? Need to be near a school? You can choose those neighborhoods by adding that filter to your search. For best results, use Advanced Search for Residential, Condo Search for condominiums, or the Foreclosure Search; Short Sales are an option on all. You can also find properties by using the Zip Code Search, MLS Number Search or the Address Search. 1. Choose Your City. If you want to search multiple areas, press and hold the CTRL (control) Key while you click another area. Optionally, you may search by county, but that usually pulls in too many choices. 2. Choose the Subdivision. You may leave on "All", but it will result in a large number of listings. 3. Choose the type of property you want. If you only want residential homes and make sure you leave unchecked condos, land, and other options. 4. Choose your Price Range. 5. Choose the number of bedrooms and bathrooms you want. 6. Narrow your search for Year Built if that is important. 7. Interior will add criteria such as a fireplace, crown molding, floor type, and more. 8. Exterior will cover options like pools, hot tubs, fenced in yards, patios, etc. If you need additional help, we will be glad to search for you by your needs or answer any questions you may have. Please feel free to contact us at any time with no obligation. We are here to serve you! The MLS real estate data shown on this web site comes from the Broker Reciprocity (BR) Program with the Pensacola Association of Realtors. Properties that are not listed by Emerald Coast Realty have the listing brokerage name clearly identified by the BR Program, including information provided by that brokerage. The properties shown here may not be all properties available through the BR Program. All information is believed to be accurate but is not guaranteed.